Awakening, the neurons in our brain begin to fire up. Sending electrical signals to previously dormant (unused) parts of the brain. Initial physical sensation is felt. As we continue our path of awakening, step by step, the electrical impulses increase, firing up more and more neural pathways in the brain, effecting brain cells, and the glands in the brain. It’s a process that can be physically felt in different parts of our head. Eventually this leads to increased ability to PHYSICALLY FEEL the physical brain activity itself, thus we begin to experience more physical sensations of VARIOUS types of tingling, leading to initial vibrational patterns of sensation, leading to various pulsing sensations. The initial one pattern physically felt, leads via our internal process, to experiencing more types of rhythmic patterns in both our BRAIN and our BODY. The patterns are various, the rhythms are various, that then leads to multiple patterns, pulses, AND vibrations, experienced all at the same time, and also separately. The more we tune into each sensation, the more it amplifies. The more we GROW our sensitivity to physically feel vibrations, both within our body and outside of it. When we experience INCOMING WAVES, these internal rhythmic patterns feel far stronger. And due to our MASS ASCENSION TIMELINE and HUMAN EVOLUTION that is this MASS timeline, we experience new rhythmic patterns, pulses and other unexplainable (in words) sensations with particular incoming waves. In other words, our physical HUMAN ability to physically FEEL, is amplifying and not stopping. Not only are we becoming more physically sensitive, we are at the same time as these incremental increases, becoming more and more adept at MERGING and CONNECTING into these vibrational sensations inside and outside of the body. We can now tune in, to BE ONE WITH those rhythmic patterns, thus enhancing our connection to them. Are energies, in vibrational form. 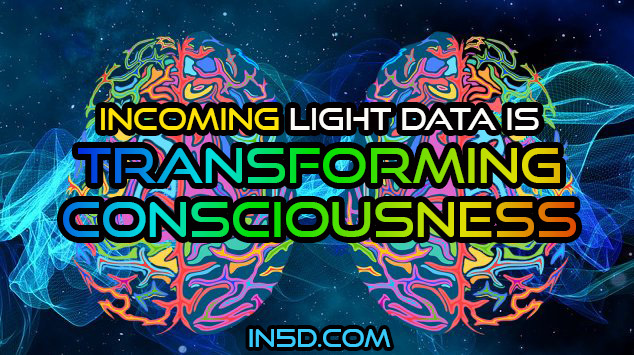 This is a way of receiving Light DATA to our physical vessel. Where the form known as Light, can change into vibrational waves. As our body becomes more accustomed to receiving those initial vibrations (due to the neural brain’s activity), incoming energy to our bodies can be stepped up, being vibrationally (Hz) online enough to receive pulses, GEOMETRIC PATTERNS, that we physically become aware of, and merge with, consciously respond to…with very conscious awareness and intention. With all above being a physical part of this ascension process, where our physical body changes, becomes more sensitive to our five senses, we are evolving the human and it’s abilities, a stage at a time. We will use our evolving abilities, to create with, interact with, receive more knowledge, available at those higher frequencies we parallel with our energetic capability. We will be sharing HIGHER FREQUENCY DATA, which translates into NEW ‘knowledge’ for the brain. We will be able to EASILY, share that higher frequency data, by PHYSICAL HUMAN CONTACT. Where two people will for example, be able to link hands, or touch foreheads, to then consciously, physical, TRANSFER data from one human to another, VIA the RHYTHMIC Patterns and Pulses, that are vibrational geometric patterns and WAVE pulses of INFORMATIONAL DATA. This will be done consciously, with our full awareness, where those two people KNOW HOW TO. So the exchange is VIBRATIONAL. A physically felt exchange of data. This will expand to group ability. It will also be possible from one human who can do this, to exchange to another human who can not, but who’s conscious mind and SOUL is wishing to receive. THIS, is what we are moving into, evolving the HUMAN capability. Where data/information does not need to be said, spoken, but can more efficiently be TRANSFERRED to another consenting human in physically felt vibrational form. A faster way of absorbing knowledge. For the receiver to then unpackage within (translate) and evolve further. This method of INFORMATION TRANSFER, a physical communication system, will also be used between animal and plant kingdoms. It shall be utilized by certain HUMANS who are the bridges, the interpreters, at ‘first contact’ Stage. Where advanced higher frequency data, within higher frequency beings, can relay their information to certain humans on the physical planet, and humans can transfer our information back, through ELECTRICAL WAVE form. HUMAN ABILITIES come online as we each increase our physical energetic frequency, as our light body becomes more and more active, after its integration stages. It’s different for all. There is no rush to expand, for each path is timed to utter perfection for each. This NEW data about the PHYSICAL and ETHERICAL evolution of human abilities that are used IN SERVICE to ALL, is what we are evolving into, by EVOLVING the physical human vessel and it’s physical abilities. It’s data about THIS stage and NEXT stages of our MASS ascension timeline, in alignment to the unfolding 26,000 year cycle and golden era…so not to be confused with other forms of higher communication (eg. channelling/out of body experiences). where this new data is about physical contact and physical energy transfer of data and a communication method of exchange. Based on our human ability now, we can start to work MORE with (merge/interact/say YES to) the electrical patterns, pulses, tingles etc we are experiencing. We are already at THIS POINT. So the NEW data received is what is to occur. Some, based on where they are on their path, already know there is a far ‘higher’ vibrational energy exchange when two or more people sit with each other in silence. And just allow the energies to flow in. But NOW, we get to take that a step further, where two people will knowingly and physically exchange electrical geometrical patterning, consciously, by known mutual convent to exchange data. It is light data, in vibrational sensation form. This ability will then spread to groups doing the same. It shall become an exchange method within ALL age groups. The film Avatar, is the best depiction I know that explains the ability I am explaining.